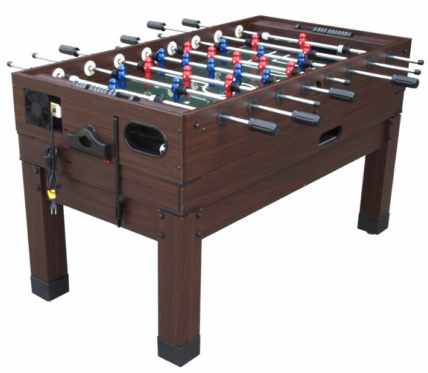 The Danbury is a multi-game table that offers 14 different games in 1. It comes in either honey or espresso cherry wood colors on the cabinet in order to match the woodwork in your home. Easily convert it into a pool, bowling, shuffleboard, chess, checkers and backgammon, tennis, Yahtzee, dominoes, basketball, poker and pinochle card table. At 215 lbs, this is not a toy. This is a well built, sturdy, time tested standard that guarantees variety and endless fun. The Danbury has three color options cherry, honey oak, and espresso.